Arguably, OnePlus 3 is the best smartphone of 2016 with flagship specifications at an affordable price, and it's continuing in 2017 as well. 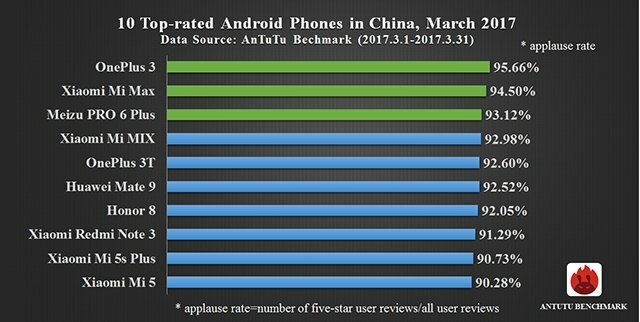 According to the data released by AnTuTu, the OnePlus 3 is the top rated smartphone in China in March 2017. Xiaomi Mi Max is the second best-rated smartphone next to OnePlus. The list is filled with five Xiaomi phones- Mi Max, Mi Mix, Redmi Note 3, Xiaomi Mi 5s Plus, and Mi 5. 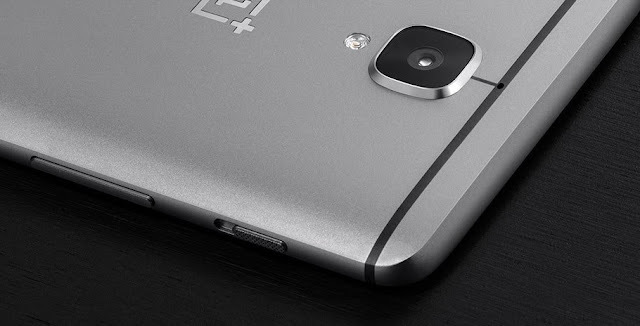 The OnePlus 3T is the fifth rated smartphone in the country. 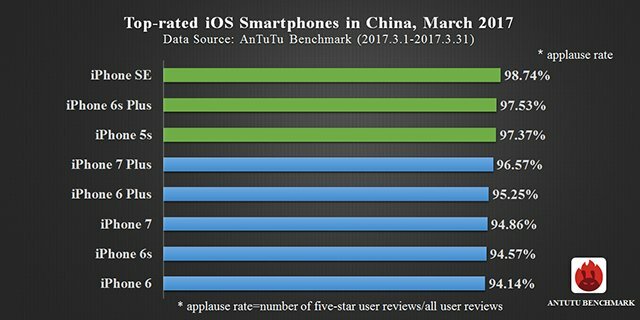 While the phones mentioned above are the top rated Android phones, the iOS top-rated phones are led by the Apple's compact yet powerful smartphones, iPhone SE. The small smartphone is powered by the Apple iPhone 6s Plus. Both the 2016 Apple flagship phones- iPhone 7 and 7 Plus occupy the fourth and sixth position. The three-year-old iPhone 5s is the third rated smartphone in the China land.